Want saltwater kissed waves even if you don’t live anywhere near the sea? The sea salt that’s known to create that messy/textured look is so lusted that companies now bottle it for big bucks. Here’s the deal though, you don’t need to spend a ton of money when you can make it at home! 1. Add all of your ingredients to your spray bottle and add water. Shake it baby! 2. Spray onto damp hair. Section off hair and twist. Scrunch upward until a wave begins to form. 3. 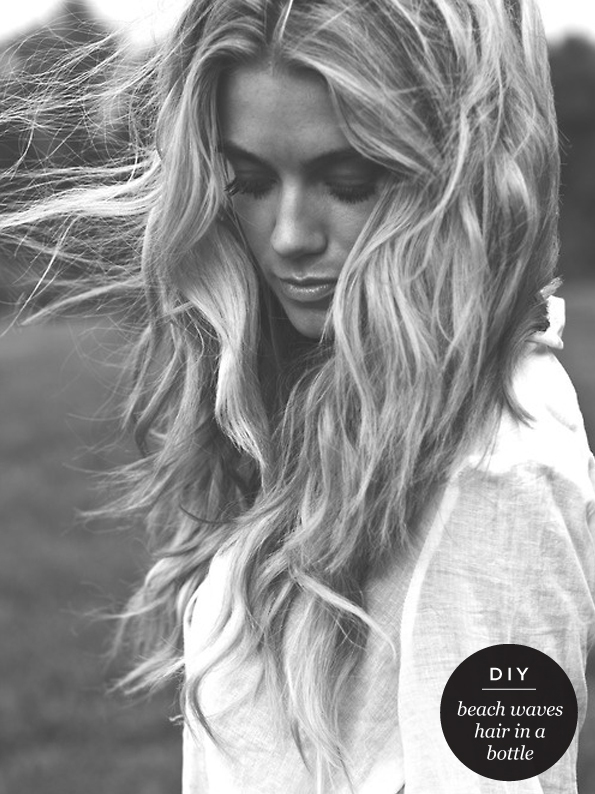 Let it dry naturally or use a diffuser for a more tousled look. I’m fairly active on facebook, pinterest and twitter, so let’s stay in touch!